Visa requirements can make it difficult for family members to visit each other across international borders. In many cases, issues arise that require family members to provide assistance and care for loved ones. But this doesn’t always make it easier for them to obtain the visas they need to enter another country. Canada’s Parent and Grandparent Super Visa provides an option that allows parents and grandparents of Canadian residents to enter the country for up to two years. It’s an ideal solution for families that want loved ones to enter the country without having to overcome many of the obstacles that may get in the way. The foreign parents and grandparents of Canadian citizens or permanent residents can apply for a Super Visa to ensure multiple-entry visits into Canada. Super visas allow a maximum of two years per visit and may also be valid for ten years. The Super Visa allows foreign parents and grandparents to remain in the country for a longer period of time than a regular visitor visa, which requires having to exit every six months. In addition, parents and grandparents may simultaneously apply for a permanent residency if they decide to remain in the country. This would typically be done by way of a parental sponsorship application initiated by the Canadian child. There are a number or requirements that parents and grandparents must meet in order to obtain the Super Visa. Individuals must be eligible to enter Canada according to the existing legal requirements. A letter indicating financial support must be provided by family members residing in Canada. Parents and grandparents applying for the Super Visa must have the minimum level of Canadian Medical insurance to provide coverage for at least one year. In addition, Canada’s immigration officials also take other factors into consideration. They will review your home country’s economic stability as well as your existing ties to that country. Immigration officials review the purpose of your entry into Canada along with the invitation from your host. 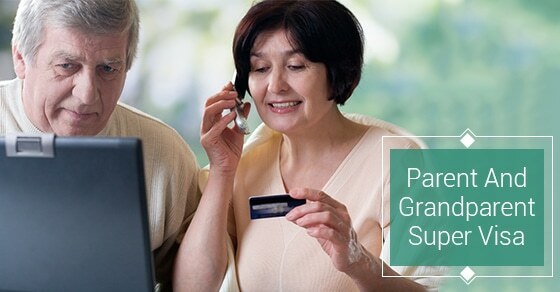 There are additional benefits to obtaining a Parent and Grandparent Super Visa. It’s useful for those individuals who need to enter the country on short notice. The Super Visa has a shorter application processing time and can be completed in about eight weeks. The application must be submitted to a visa office in the applicant’s home country. The individuals must meet all of the required criteria and understand the restrictions that are present with a Parent and Grandparent Super Visa. These include the inability to gain employment or attend an academic institution during their stay in Canada. If you have a permanent residency application still pending, you may still apply for and obtain the Super Visa. 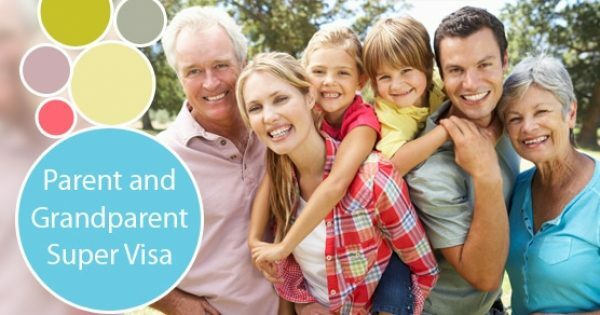 The Parent and Grandparent Super Visa is an option that many Canadian residents use to invite family members to enter the country. Understanding the visa requirements and application makes it easy to allow your parents or grandparents to join you in Canada.